Family-friendly complex. Small Class Sizes. Flexible Programme Schedules. Highly Trained Swim Instructors. The award-winning Mairangi Swim School builds essential water skills with learn to swim classes for babies, toddlers and kids of all ages. Baby and Toddler classes are a unique time for parent/ caregiver and child to bond, learn water safety skills, have fun and build water confidence. In these classes, your child will be learning much more than just how to swim. It is often their first involvement in a structured lesson away from their parent/ caregiver. To compliment their inquisitive nature children will learn water safety skills, build confidence and have a whole lot of fun. 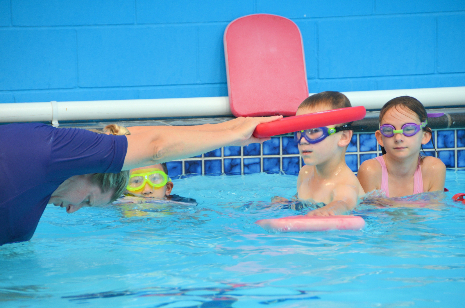 The school programme consists of 7 levels, focused on developing efficient swimming strokes, whilst promoting basic water-safety skills, sensible behaviours and respect for the water. 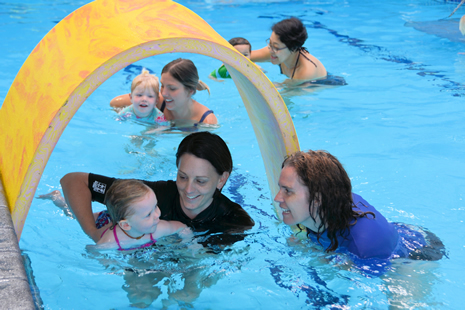 Join in the fun as our skilled teachers will guide you and your little one through skills and activities to help them be more confident and safer in, under and around water. Share together the delight of baby's first splashes, the look of wonder with the sensation of the warm water over the whole body, and the excited wide-eyed recognition of your baby's favourite swimming song. Does your child's swimming skill level need a boost? Or, do regular swimming lessons not fit into your busy school term timetable? Our School Holiday Intensive Programme places school aged children into ability groups and takes the children through our programme. You can opt into either week 1 or 2 or both. The consecutive weekday perfect practice develops both confidence and swimming skill.